It’s the eleventh hour, your deposition is fast approaching and you are without a court reporter. What do you do? When it comes to legal professionals, it is too important of a process to trust untested, unreliable, amateurs. Whatever the reason, those involved in any legal process are often going through a life changing event. It does not pay to play fast and loose when hiring people for the job. 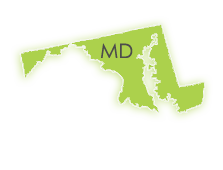 No matter the time constraints, you need a Maryland court reporter who can get the job done right the first time. Personally vetting every Maryland court reporter in your stack of referrals is time consuming and labor intensive. The hiring process is a time thief that does not guarantee results. Yes, there are ill prepared and under experienced court reporters who will make it into your rolodex, but incompetence and unreliability are only one potential downside to your limited stable of Maryland court reporters. You need a reliable Maryland court reporter who is experienced in the size of the case at hand. You need a court reporter who has experience working within the subject matter of your case and won’t make costly mistakes or cause unnecessary delays due to a lack of knowledge on their part. Discovery Litigation Services pulls talent from a wide network of highly trained, highly qualified realtime ready court reporters. When you inherit Discovery’s legal resources you gain access to a host of reliable and seasoned experts who can deliver on cue and on short notice. Unlike your typical freelance Maryland court reporter, Discovery Litigation Services can guarantee reliability. What happens when a freelance court reporter falls ill or has a conflict of interest with the opposition? When you put your eggs in that one basket, you open yourself up to potential delays and harm to your overall case. How does Discovery Litigation Services ensure against this? Based on the nature of how we operate, we always have a court reporter available to fill in last minute. Attendance, however, is only half of the equation. Discovery Litigation Services will always have the right court reporter available - experienced, professional, and reliable. With Discovery Litigation Services you get certainty. Hiring your court reporter shouldn’t even be a blip on your radar of challenges. We make it easy by reducing that process to a simple one-click action. Simply give us a call or Schedule your deposition to put us to work for you. On the most basic level, we offer superior realtime ready court reporting. Realtime court reporting provides a direct link between you and the court reporter as the record is being recorded. In realtime reporting, you will be provided a direct feed of the transcript being produced as the deposition unfolds. A direct translation from the court reporter’s shorthand into readable text. Realtime court reporters are trained with a higher level of accuracy. Since their transcription is immediately available for viewing, there is a greater emphasis on precision in producing a verbatim transcript with an industry average of 90% accuracy. This higher level of accuracy not only gives you an immediate “rough” draft, but it makes for a lightning fast turnaround in delivering you the final official transcript. No more waiting weeks to obtain the official record. We make expedited transcripts the new normal. Our video streaming enabled court reporters offer you flexibility. No longer are you bound by availability and locality in finding the perfect court reporter for your case. We can deliver the most qualified professional anywhere in the world. There is no deposition too remote. With Discovery’s wide stretching network you are guaranteed reliability and professionalism. With our long, global reach you are guaranteed the experience and skill you require for your case. Discovery Litigation Services goes beyond court reporting. Our reach taps the most qualified legal videographers, arbitrators and mediators, document review attorneys, paralegals, pre-trial consultants and more. We have the manpower to quickly and effectively handle all of your deposition needs at the highest level of standard. We are a one-stop-shop of tailored fit solutions and a superior standard of excellence. With a single phone call or the click of a mouse Discovery Litigation Services will take care of everything.